Meet the cancer doctor you'll never see. Cancer itself is scary, but its treatment can be just as nerve-wracking. Among the most common cancer treatments is radiation therapy, in which a patient lies on the table of a large linear accelerator machine as it buzzes and rotates around the body, setting up to beam high-energy X-rays through the flesh to kill cancer cells. Radiation therapy is a symphony of precision orchestrated by a team of cancer fighters. They select just the right treatment for the individual, do the math to confirm the radiation goes where it needs to, and ensure that the treatment is delivered properly. Radiation oncologists are usually the face of radiation treatment—the doc you know, the point person and guide through the entire course of treatment, who may be in touch for years after your radiation therapy has ended. But there’s another doctor on the team that patients won’t ever meet, whose role is equally critical to the delivery of radiation treatment in the fight against cancer. Introducing…the medical physicist. The oncologist writes your prescription for radiation therapy, including the type and dose. The dosimetrist fills the prescription by creating a treatment plan and calculating how much radiation is needed to deliver the dose. But it’s the medical physicist who works behind the scenes to ensure you get exactly what is prescribed in the exact spot that you need it and nowhere else. “In a nutshell, a medical physicist is a unique combination of scientist, clinician, engineer, artist, computer programmer and technician,” says Yijian Cao, PhD, chief of physics in the Department of Radiation Medicine at Northwell Health Center for Advanced Medicine, who has been doing this type of work for more than 25 years. The medical physicist ensures that the complex treatments are tailored exactly for each patient, develops the protocols designed to maintain that the treatments are safe, effective, and with pinpoint accuracy. Radiation can be delivered with surgical precision in a space that’s smaller than a quarter inch by a quarter inch. Designing effective treatment plans that affect the cancer involves complex math, physics and highly sophisticated computer software. The medical physicist tests the equipment—linear accelerators, CT scanners and radioactive isotopes periodically—to make sure they are calibrated accurately to deliver the prescribed therapy to the exact place in the body. They are also in compliance with the state and international agencies that oversee radioactive materials and radiation safety. The quality and safety protocols for the technicians operating the machines are developed to avoid any unnecessary radiation exposure to staff and public. Before the patient ever lies down in the linear accelerator, the radiation oncology team goes through an extensive process and checklist that must be completed before therapy can begin. 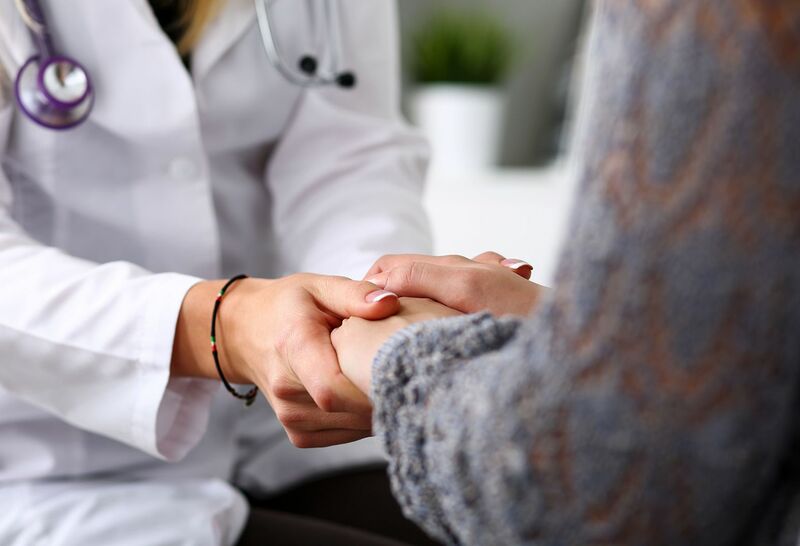 “The treatment plan for each patient is reviewed for quality, safety and consistency, and then it’s checked and double-checked by a team of physicians, physicists, dosimetrists and therapists,” Dr. Cao explains. The final validation of the treatment plan involves a “phantom” test. A phantom, in the place of a real patient, is a piece of equipment placed on the table of linear accelerator and irradiated with the beam designed for that specific patient. Instruments in the phantom will show whether all doses are correct and whether the radiation hits its intended target—the cancer cells. Once the team is satisfied with the results of the testing, then and only then does a patient receive her/his radiation therapy. As radiation therapy and technology evolve and become even more precise and complex, medical physicists will continue to play a vital role in developing and delivering innovative treatments. A patient may never meet these dedicated professionals behind one’s radiation treatment, but they’re devoted to the wellness and the quality of life of each patient. 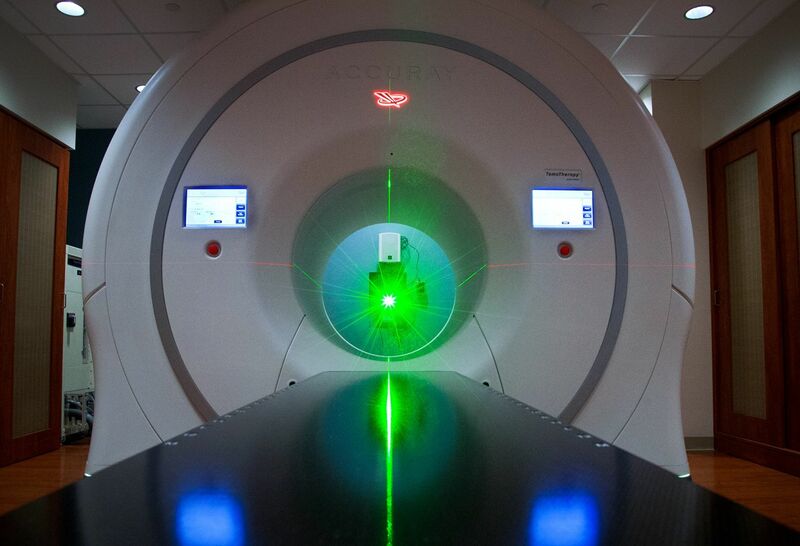 “With a strong group of physicists in supporting oncologist’s decisions, patients can be absolutely sure that their radiation treatments have been designed using the best possible technology at the best accuracy and in the safest way that can be achieved,” says Dr. Cao. Learn more about radiation medicine. Discover what's new in medical research at the Feinstein Institute. Interested in a residency in radiation oncology at Northwell Health? Read more stories related to cancer on The Well.